Southern Village was developed in the 1990’s into the 2000’s. The neighborhood is modeled after an older neighborhood from the 1920’s a time when homes were close together with front porches and garages behind the home entering from alleys. This was a new concept for Chapel Hill. The developers started with the larger lots surrounding a park so it wasn’t such a big shock for a town used to large wooded lots on tree lined streets. As the neighborhood was developed with a commercial area and different builders building custom plans Southern Village became the best selling neighborhood in town. The neighborhood elementary school was brand new and mothers and fathers would walk their children to school and home visiting with friends along the way. Weekends would have a farmers market on the commons or a movie outside at night where neighbors would enjoy the summer weather. The pool, clubhouse, tennis courts and soccer fields are always busy and a great meeting place for friends. The main drawback of Southern Village is one of the things that also makes it desirable. The houses are very close together and the streets are rather narrow. This fosters community but some people just don’t feel comfortable living so close to neighbors. Also, there aren’t big play areas in the small yards Most residents don’t mind this though because there are acres of common area and walking trails along with sidewalks on both sides of the street. Southern Village was developed in the early 90s and was a new concept for Chapel Hill. The plan was to build a new old neighborhood reminiscent of the way people lived in the early part of the 20th century. There would be a Main Street (now Market Street) with shops restaurants and small businesses. Homes would have front porches and alleys for the garages in back. The neighborhood would be quite dense with approximately 300 acres with 90 acres of that green space. Southern Village would have 1150 housing units consisting of single family homes, condos, town homes and apartments. This type of neo traditional neighborhood had been done successfully in several parts of the US including Kentlands in Gathersburg Md. Before Southern Village was developed Chapel Hillians loved their large lots and trees. Here is a link to a detailed history of Southern Village. I along with others wondered if it would ever get off the ground. My sister lived in Kentlands so I was familiar with the concept but Gaithersburg Md. was very different from Chapel Hill. It was also FLAT! The Southern Village property was very hilly and I just couldnt imagine how they would get all of those houses on small lots with all of that topography. As it turns out, they did and the neighborhood has been a great success. Clients that I have sold homes to in Southern Village love it. The walk-ability of the neighborhood with the trails, sidewalks and the wonderful commercial area make it a fun and friendly place to live. 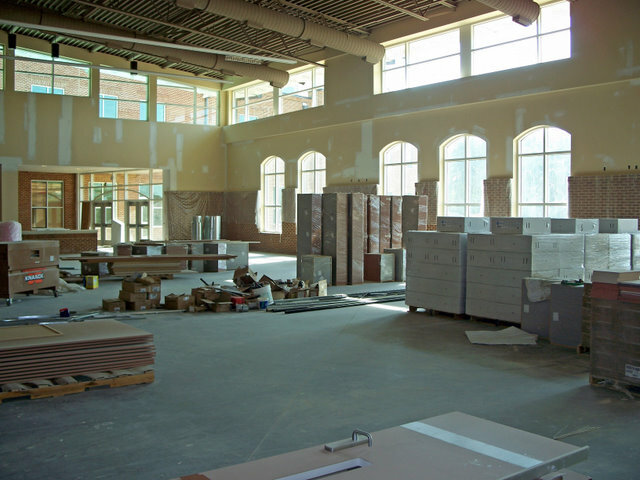 The commercial area includes several restaurants, many shops and businesses, a movie theater, church, day care center, elementary school, and common green where there is always something going on. The neighborhood has been built out for several years so all homes for sale are resales. The neighborhood has condos (230 surrounding the commercial area) priced from the mid $100,000s (one bedroom one bath) to the upper $200,000s (3 bedrooms 2 baths). The neighborhood has 530 single family homes ranging in price from the 400s to over a million. The Southern Village club, tennis and pool is open to everyone not just residents of Southern Village. Membership is $750 for a family. There is always something going on including swim and tennis lessons plus classes and activities for both adults and children. My friends especially love the yoga and Pilates classes. for more information visit the Southern Village pool and club membership web site. There is an elementary school, Mary Scroggs, right in the neighborhood. Many children ride their bikes and walk to school. I love to see the colorful bikes lined up in front of the school. It’s just something you don’t see often these days. The middle school , Culbreth, is adjacent to the neighborhood and children also walk and bike there. I recently went with a client on a school tour. Grey Culbreth was built in the 70’s and despite the age of the building it was sparkling clean. One thing that I noticed were the computers everywhere. Stations outside and inside classrooms and students working on laptops in the classrooms and in the library. Carrboro High is silver leed certified. Natural light abounds. The high school Carrboro High is the newest of the three Chapel Hill High Schools. 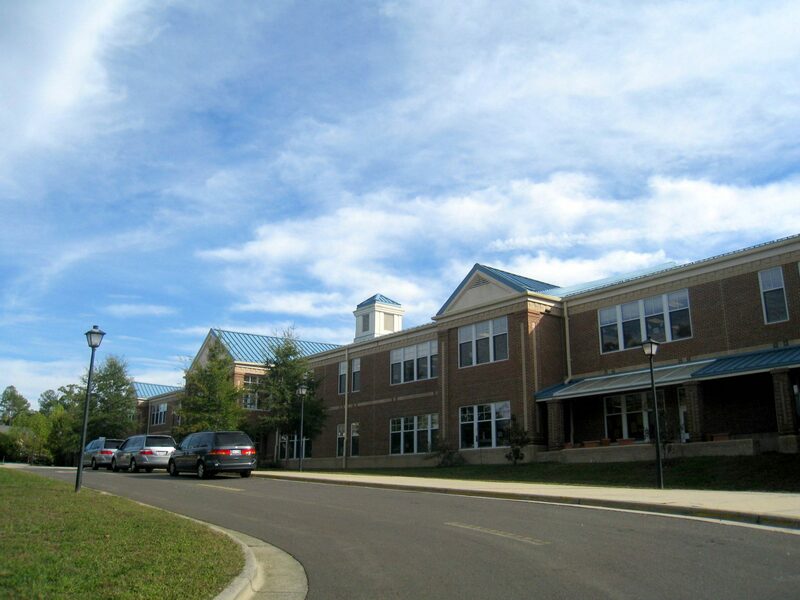 It’s just a few years old and besides being academically excellent (SAT scores for reading, math and writing for 2010 was 1733) the school itself is is North Carolinas first Leed certified high school and earned a silver rating. By Marianne Howell Wright. Visit my Southern Village web site for more information.